By submitting this form you certify that the above information is TRUE to the best of your knowledge, and may be verified by CC Idaho. Applications for 2019 have closed. Please check back January 2020 for the next application period. 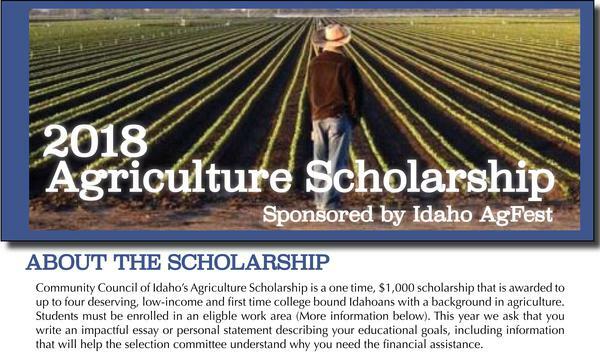 2018 Agriculture Scholarship - Applications for this scholarship are closed. Please check back for the 2019 application. Please fill out the following form to the best of your ability. All applicants must submit required paperwork. Failure to do so will disqualify the applicant from consideration. Applications for 2018 have closed. 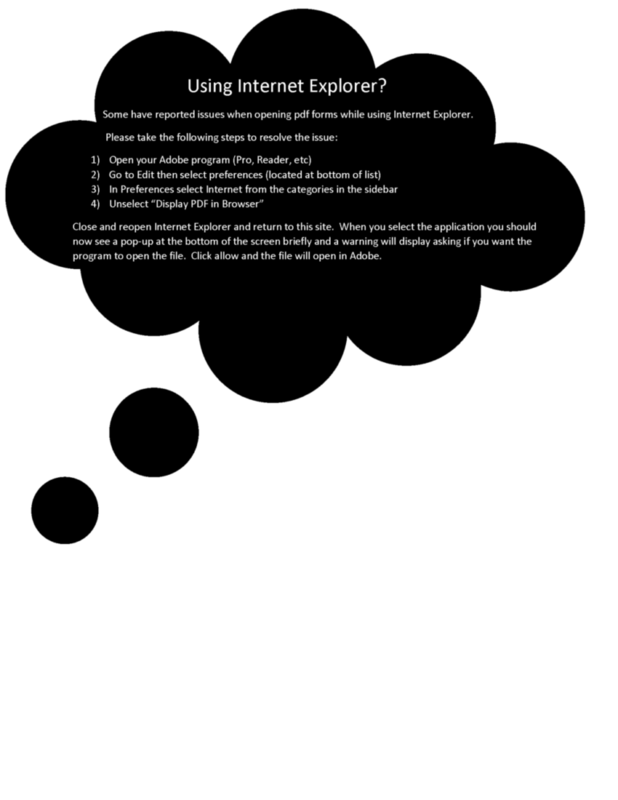 Please check back soon for the next application period. 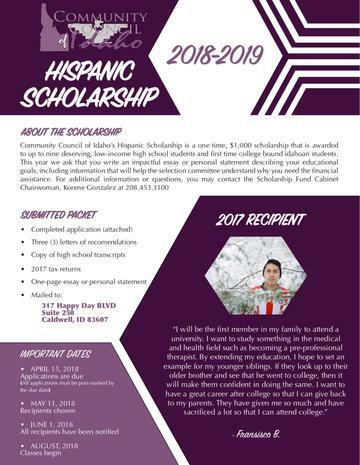 Access this site to get a wealth of information regarding a higher education and financial support, as well as other scholarship opportunities.